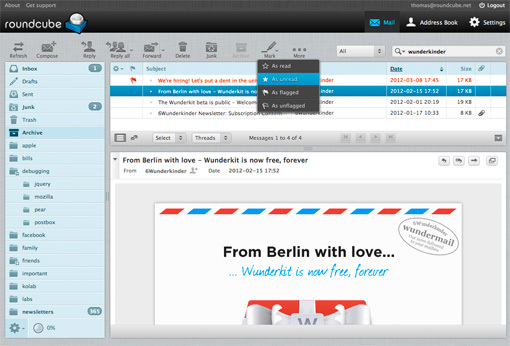 Roundcube has just released v0.8.0 of their awesome webmail program. After spending a lot of time in beta and then release candidate, its finally here! I've been using Roundcube as my default webmail client for years - and it certainly is one of the best out there.